To help you use the 1940 census data. The Census Maps show "Enumeration Districts" in each city and town. These "ED's" are the key to finding the actual census lists made by each 1940 census-taker. 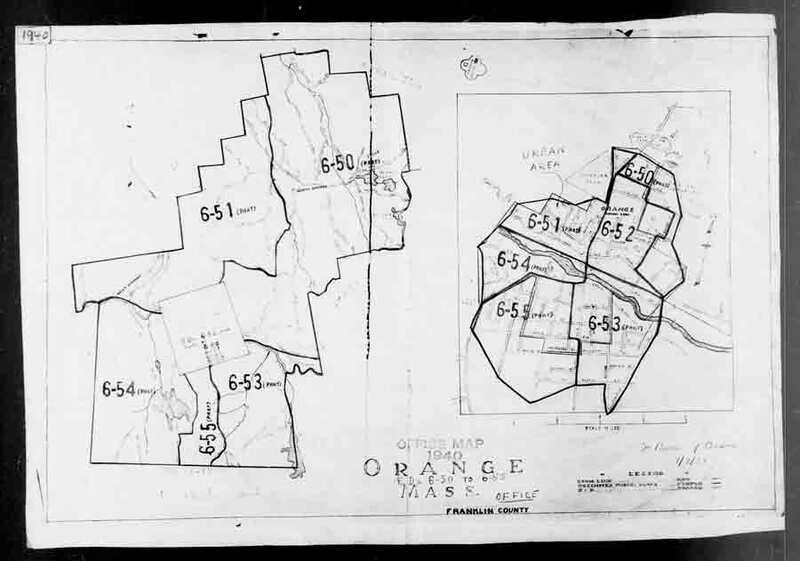 The actual maps used by the census bureau in 1940 have been scanned by the National Archives and are available here in a convenient format. Of special value are the whole maps we have made (combined in Photoshop) from the multi-scan images at the Archives. 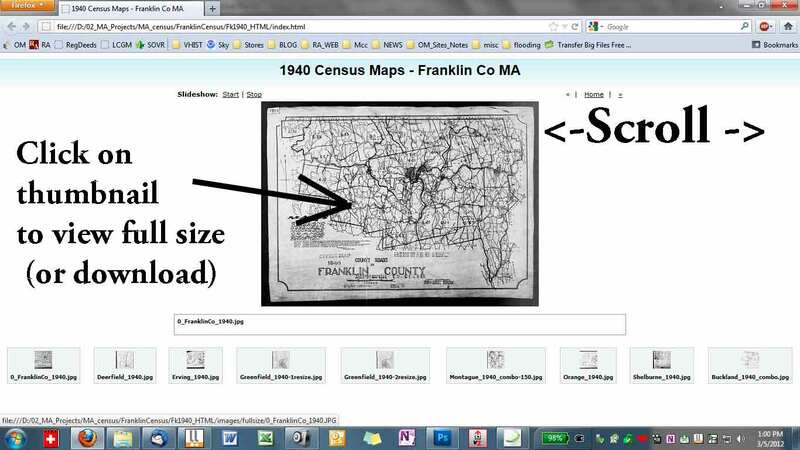 The larger on-line maps at the Archives are scanned in 4 or more pieces and they can be difficult to use. To see the originals, use the Steve Morse site. 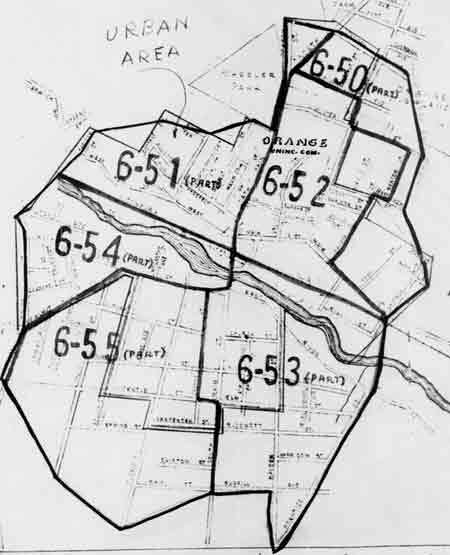 The Census Bureau acquired street maps for every community, and used the maps to outline areas for the census takers ("Enumerators") to visit. These "Enumeration Districts", also known as EDs, are designated on the maps by numbers like 6-51. The census maps do not tell us where people lived - they just show the roads that each enumerator travelled. The 1940 census records are not indexed by name when they are first released. They are grouped by ED. So to look up your family records (if you know where they lived), you need to use these maps to find the ED. You can then peruse the records for that district. Most of the maps are simple road maps. The maps are organized by counties. After you select your county you will see a screen like this. Small arrows in the upper right corner let you scroll through the maps. To see the full map, click on the thumbnail view. Some towns appear on a single map, but many appear on county-wide maps, so if you don't see your town listed, look for a county map. Some readers may want prints of the maps instead of the free on line copies. We sell prints (not to scale) by county groups, for $20 postpaid. These are the original prints from the archives and include the multi-image maps. If you want a set of 11x17 original prints* (complete county only), the charge is $20, postpaid. Maps are shipped rolled in a tube, First Class Mail.